Tuning in an FM station isn’t the same as tuning in an AM station. That’s why, when you have a reception issue, the first thing you’re usually asked is “Which band or station are you trying to receive?”. FM transmissions are line-of-sight. That means that obstacles between you and the transmission you’re trying to receive can block the signal and leave you with poor reception on your radio. A hill, a coliseum, big buildings – all these things can get in the way of your FM reception and even leave you hearing the effects of multi-path interference. You get multipath interference when a signal meets an obstacle of some sort, such as a mountain. Depending on the broadcast strength, the signal might get absorbed or reflected by the mountain. Due to these issues your radio will end up with poor reception as the different paths taken by the reflected signal arrive at your receiver at different intervals. Fortunately, multi-path interference usually happens when you’re in your car, so it tends to be pretty easy to overcome by finishing your drive around a city loop or the base of a mountain. Still, some people might experience all kinds of radio interference at home as well. That’s where a better antenna might do the trick. Most portable radios have a whip or telescoping antenna that works fairly well when the radio is set close to a window and away from sources of significant interference. However, if you always have the whip antenna fully extended, you may not be getting the reception you’re expecting. Sometimes you’ll get better reception for a certain station when the whip antenna isn’t fully extended. Occasionally, pulling in the cleanest signal is accomplished by trial and error. You can experiment by extending the antenna to different lengths and also pointing it in different directions (if the radio’s antenna is designed to rotate, of course). If playing around with the antenna or moving the radio around doesn’t improve your reception as much as you like, you may need to move toward a more powerful indoor or outdoor antenna. An outdoor unidirectional antenna, also known as a Yagi, is a powerful option. A Yagi looks like a rooftop TV antenna and is ideal for tuning in distant stations and for reducing multipath interference. By aiming the Yagi at the signal you want to capture, you can tune out most types of interference – be it from competing signals, buildings or a weak signal. If you don’t have access to the outside of your building, you might want to go for a good dipole antenna. These T-shaped antennas offer pretty decent reception indoors and are easy to hide if necessary. C. Crane carries the FM Reflect antenna. There’s often confusion around how to connect an external FM antenna to a radio that doesn’t have external FM antenna jacks. We’ve created this diagram to give you an idea of what these jacks might look like. Whichever antenna you choose, be sure you’ve tried some basic things first. Sometimes just switching to mono rather than stereo, or putting a portable radio in a different location, can improve reception. You might also be lucky enough to improve your reception by just attaching a simple wire to the external FM antenna jacks. If these quick and easy solutions don’t work for you, or if you can hear a signal in your car but not indoors, you may want to consider one of the antennas mentioned above. I have experimented as per your suggestion with keeping the antenna barely extended… maybe an inch or two. Now I get wonderful reception of my favorite FM stations. Thank you. Lightening is a problem here even though our house is grounded. We have to go around unplugging our most sensitive appliances for safety when we have some of these electrical storms. So antennas frighten me. What is the difference between a CCRadio-EP and the CCRadio -2E besides the price? I have a CCRadio-EP, and position does make a difference, but am fearful of the idea of adding wires from the radio around in the house or outside the house. I live in rolling country in central Texas. I listen to Coast to Coast and George Noorey. My friend in Texas replaced his well pump three times in two years from lightning. Outdoor antennas are not recommended in Texas so it is best to see if you can orientate the telescopic antenna for best reception. FM Reception is slightly better on the CCRadio 2-E but not enough to make a purchase judgement. The EP is nice for a person that likes a dial instead of digits. Moving a radio higher is sometimes an easy way to improve reception of a weak signal. You can try the top of a refrigerator or upstairs if you have one. The FM Reflect can also help with a weak signal and other more difficult reception problems. The EP has an external FM antenna jack. The CC Radio 2-E does not. Wow! I’m gonna try some of these great tips. Thanks for sharing. currently use a television rabbit ear for my fm antenna…as you might guess, not too great. would love to upgrade, and i plan on purchasing a c.crane radio with sw asap…many thanks. I ran a wire from my radio antenna to my garage door track. I use my handheld radio on the road when I drive. I’m a courier and actually get better reception with my handheld driving through the mountians of NC. I extend the antenna fully and lay the radio on its side, and never lose signal. The antenna positioned horizontally always picks up transmissions better. and then WOW crystal clear rock sounds that could easily shake that trailer as I increased the remote-volume while outside. So I went from 😦 to 🙂 quickly which reminded me of the pleasant surprise years ago when I purchased my first CCR just for listening to talk-radio AM-stations while on the road at job sites from Jacksonville to San Antonio. Thank you for these ideas. My radio used to get FM but not for about a year now, so I’ll try your suggestions. We live 40 miles from a city that has a number of FM stations, so we are right on the fringe. We often got noisy reception, which was very tiring to listen to. I purchased the C. Crane FM Reflect antenna. I mounted it on the wall on the second floor of the house. It worked best when positioned so it was broadside to the city. We now receive lots of noise-free FM stereo signals and music fills the house. Thanks C.Crane! I wish I could go with an external antenna. The hills and buildings around here make it rough. But then again a better radio would probably help as well. We live in deep east Texas with 80′ old growth pine trees that block most anything. What I currently have does not do the job. I will be cruising your catalogue for a possible solution. Thanks. Great tips! Ever stop at a red light and your crystal clear music on your FM radio suddenly goes to static? That’s happened to me, then I move a few inches and it’s clear again. I’ve found that I get vastly better Wi-Fi reception when the router uses two instead of just one long-range antennas and it got me wondering if having a second antenna on my car would prevent my FM radio from dropping out. Has anyone tried this? What is the polarization of FM broadcast transmissions? I had assumed vertical polarization. The reason I ask is if receiving line of sight without too many multipath reflections, turning the yagi, so the elements are aligned with the polarization of the signal can make a significant improvement in reception. You need to start with a decent radio like the CCrane CC Radio or Sangean ATS-909. These sets are sensitive and have great selectivity to tune in weak signals that may be next to a local. A simple antenna like the CCrame FM Reflect does wonders. Our FM Reflect is installed inside a window sill and it greatly improves our FM reception. Great article. A few tips. 1. 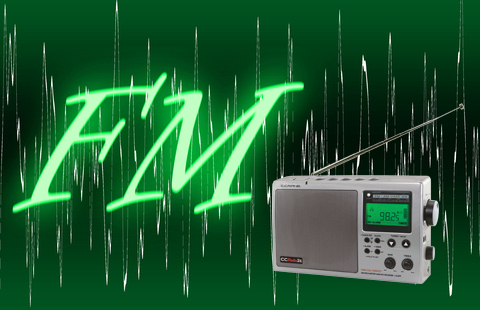 Check FM web sites like http://www.fmfool.com to get a report of FM reception quality from your address. This will tell you if your favorite stations are LOS (line of sight) or not, and if the latter, may require a more powerful antenna and precise positioning. 3. Make sure you are using high-quality coaxial cable (RG6 or even better, RG8/9913). The longer the cable run, the more your dB loss, so a good cable will retain both dB and sound quality. I did a little research about the polarization question. http://iris.nyit.edu/~sblank/VPforFM.htm seems to have the best answer I found. From this, it looks like orienting a Yagi horizontally may give the best results… depending on the station one is trying to “listen to”. In the mid-90’s when I lived in a Trailer for a short time, I had an outdoor shortwave antenna (for a Radio Shack receiver that sat in a small room) and I ran an internal FM antenna the length of the living room ceiling/wall and down into a corner where my Fisher Receiver sat. Best FM reception I ever got. Not sure if the metal exterior of the place further amplified that reception or not, but the number of stations I was pulling in was remarkable. Out town home has vinyl siding and must have a foil wrap under it because no FM gets through to my inside FM receiver. I tried several different inside antennas, but the best solution was to run coax outside to a Magnum-Dynalab ST-2 vertical antenna mounted on the rail of our deck. This antenna is expensive, but is worth the cost. These are things I’ve never been aware of before your article. Hopefully, I can improve my FM reception. Thanks for these tips, I did not know them. I have a C Crane radio with a telescoping antenna and I did not know the reception was affected by the extended length. (Also, C Crane has excellent customer service and the manual that came with my radio is also excellent.) C Crane is a great company! I’ve had good luck by running a “slinky” through a cardboard tube and connecting a wire to the radio. Use a rotating plant hook to hang the antenna. The tube length is approximately 3 feet long. Good Luck. I live in James City County, VA – exactly halfway between Richmond International AP (RIC) & the Williamsburg-Newport News AP (PHF). Last month while driving my truck I decided to surf the FM band. There was a strong signal coming in at 105.7. After listening for 15-minutes, I started hearing commercials for IOWA! The signal remained strong my entire drive and I heard a station I.D. : it was KSUX Sioux City, Iowa. Sioux City, Iowa is 1,332 miles away from my home (which, BTW I was driving east for 30-minutes and moved even farther away from Sioux City). I was dumbfounded. I have done AM Dx before but never FM Dx. I never knew this was possible – of course, under the perfect condition.